Does your ceiling look old, battered and smell? It may be time to give your business a fresh look. 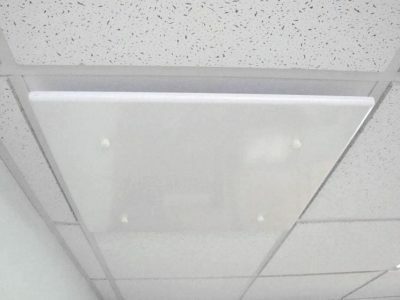 Ceiling tiles get dented when air conditioning repairs occur, holiday decorations are hung, or when ladders, brooms, or other items hit them. A soda spray and air conditioning condensation can discolor them. Over time dust and skin cells adhere to the tiles. All of these occurrences dull a tiles color and contributes to a musty smell. 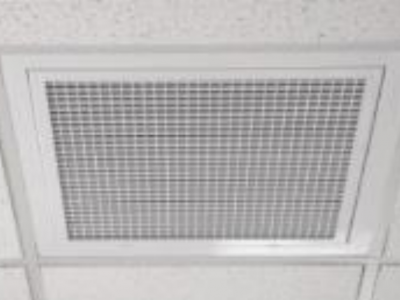 Acoustical tiles should be changed out periodically. Restaurant kitchen vinyl tiles become discolored when constantly exposed to steam, oil and intense heat. Once tiles crack, develop holes, or sag, they should be changed. The health department will insist and your employees deserve it. Ceilings start sagging when tiles absorb moisture or when workers stretch the wires when repairing items above them. Leaving sagging tiles for a long time will distort the ceiling t-bar and not provide protection from unwanted creatures.